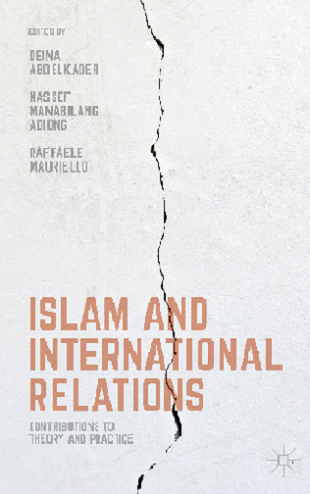 Dr. Raffaele Mauriello is the co-founder of the International Relations and Islamic Studies Research Cohort (Co-IRIS). Co-IRIS was created with the aim of developing and sustaining a body of knowledge that addresses the theories and practices of the Muslim civilization and of Muslim societies with regards to international affairs and to the discipline of International Relations. IR as a field is not a unilateral project rather it is an intellectual platform. The aim of Co-IRIS is to explore Islamic contributions to the field. The inclusion of Muslim contributions is not meant to create an isolationist, judicious divide between what is Islamic and what is not. Co-IRIS is created to act on the inclusion of that knowledge as a building bloc in the IR field. Co-IRIS is premised on the idea that knowledge is fluid: peoples adopt and utilize thoughts and ideas regardless of faith, gender, nation, etc. The mainstream idea that all knowledge presented by the West is from an “Orientalist” perspective or that there is a “clash of civilizations” are both notions that are antithetical to our mission.